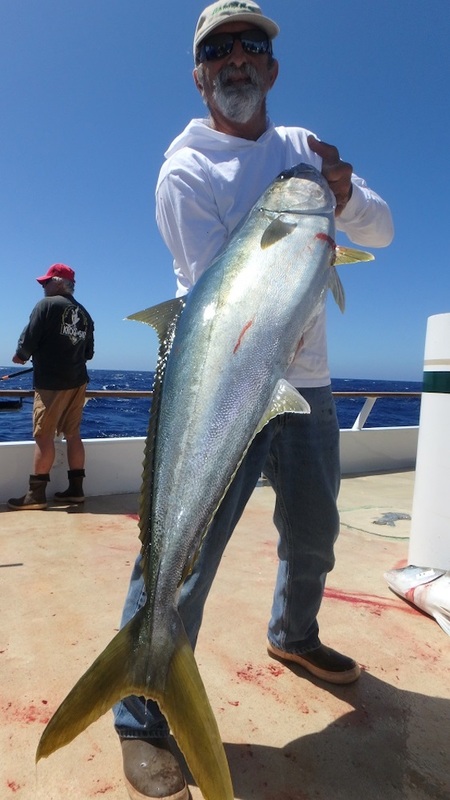 First lets start with the weather, we had 15 to 18 knots most of the day, but that didn’t stop the might anglers from getting there Yellowtail on. 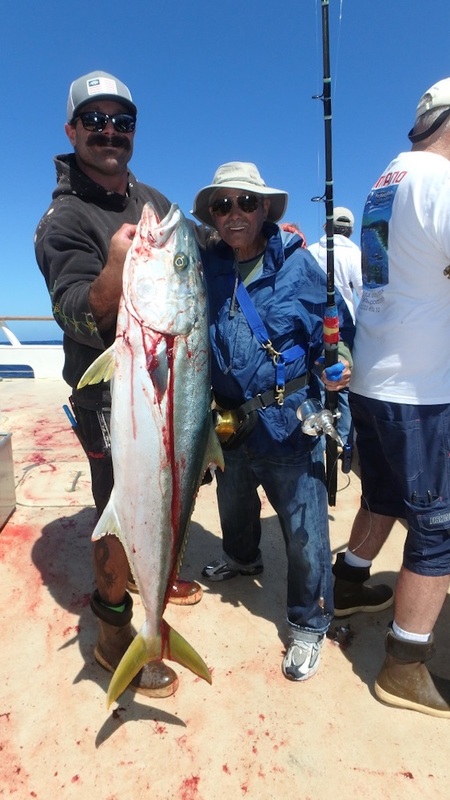 We had excellent Yellowtail fishing on the iron, fly line sardine, and tubes. 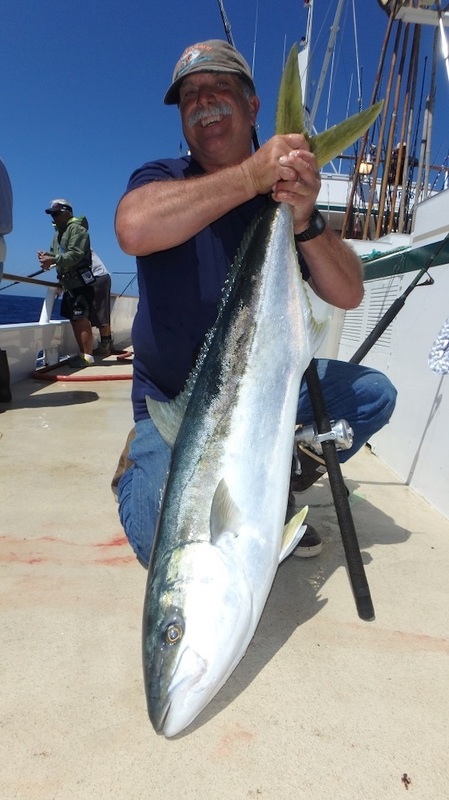 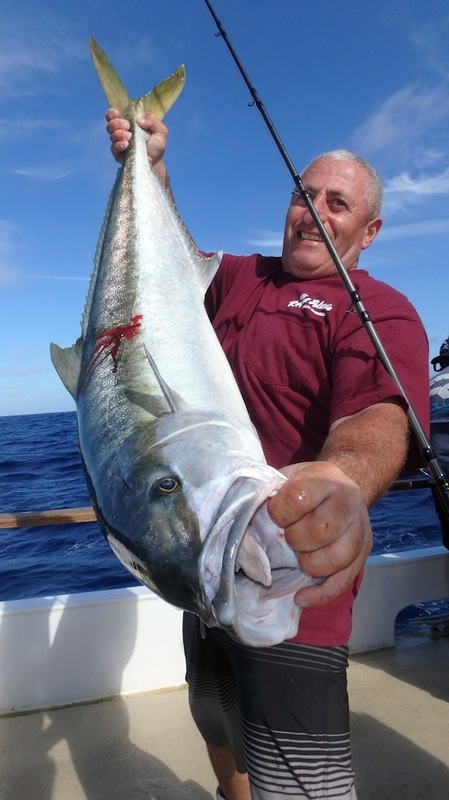 Most of the Yellowtail were in the 18 to 25 pound range, with a few in the 30 to 40 pound category. 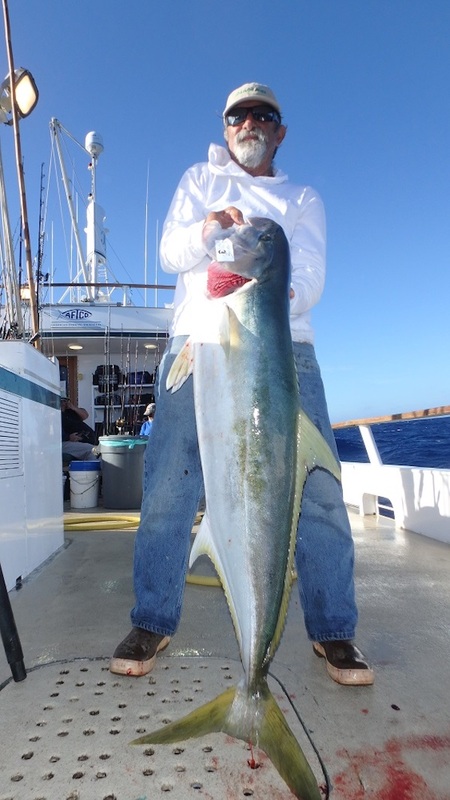 Lucky Jerry’s dollars went to Kirk McCoy for the first Yellowtail over 25 pounds, and Joe Amagrande for the first anglers to catch 3 Yellowtail.